Join PERI IT and begin an exciting journey with us and re-discover your potential. Let us guide you through our counseling facilities. 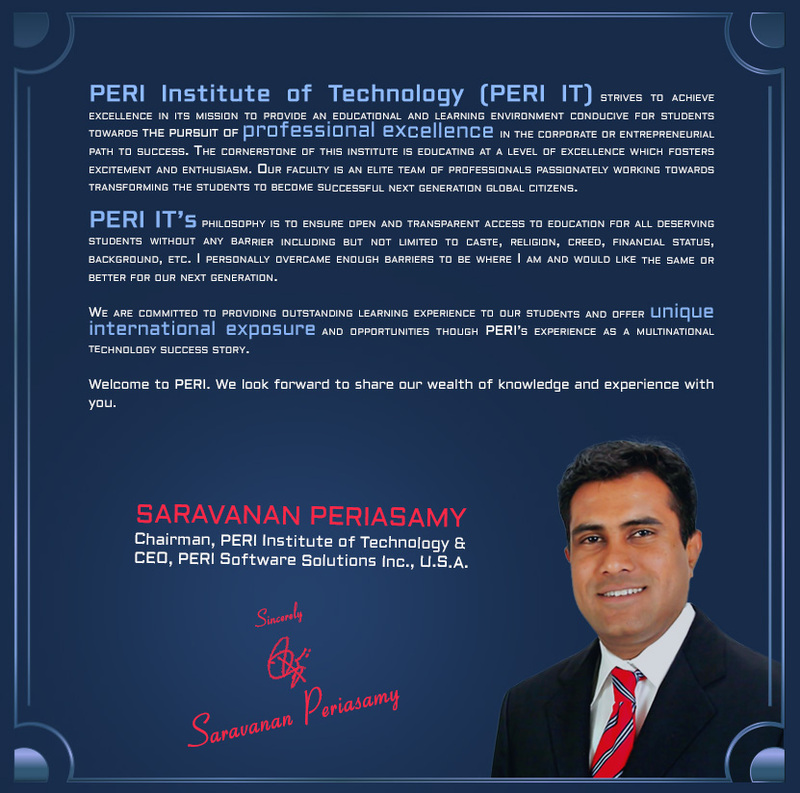 PERI Institute of Technology adheres to high standards of academic excellence. Students are admitted, in accordance with their level of academic preparation, based on Anna University admission procedures for affiliated colleges which permit admission through counseling and also for management seats. Interested candidates and their parents can visit our sprawling campus to get a first-hand view of our infrastructure and facilities. PERI IT has comfortable A/C classrooms, multiple, well-equipped laboratories, a vast library and most importantly, dedicated and experienced faculty. In addition to infrastructure, PERI IT arranges for campus interviews, technical symposiums and personality development courses. We will be glad to arrange a tour of the facilities for you. Parents and candidates can also meet our faculty to review the opportunities and advantages provided by PERI IT. Call us at 96771 30343 to book an appointment or if you require more information.